The book contains materials from the XVIII International Symposium on Metaphysics (11 XII 2015). The symposium in the series "The Tasks of the Contemporary Metaphysics" was dedicated to the Karol Wojtyła's understanding of man as a person and its authenticity and validity for the contemporary culture. The publication consists of five parts. In the first part entitled: "The Philosophy of Karol Wojtyła," there are considerations about the specificity of Wojtyła’s anthropology, the sources of his thoughts (using elements of phenomenology for Thomistic anthropology), the importance of mysticism and philosophy in science and life. The second part, entitled: "Around the book The Person and the Action, "refers to the discussion that took place in 1970 on Wojtyła’s anthropology contained in this work. We can find quoted voices in the discussion and the study of its basic topics. Attention was also drawn to the problems of translation of the work into English and editorial interference in different Polish editions, and also in the English text. 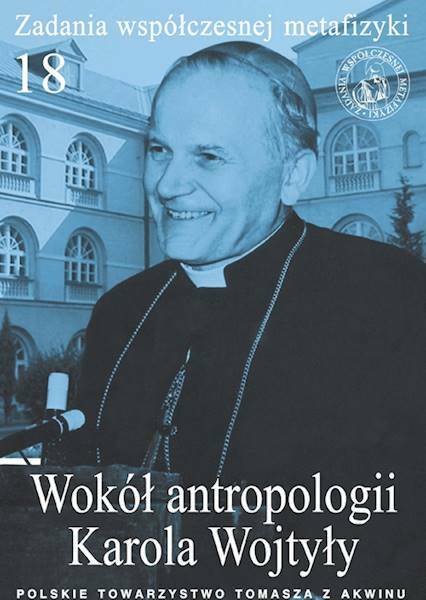 The third and fourth parts of the book deal with selected topics of Wojtyła’s anthropology, such as: personal dignity, causativeness, self-determination, experience of morality, the relation between the person and the nature, corporeality, sexuality, femininity and masculinity as a means of development of human person. The last part of book contains texts on the person in relation to the community and participation in social life and in the family. The book contains an extensive thematic bibliography.